Banff &ndash; Alberta- Amazing early season conditions prevail as Sunshine Village opens more terrain off the Angel Express Quad Chair. The Banff Avenue Ski-Out opened earlier this week from the village to the base area. Sunshine Village has received 10 centimeters of snow over the last 5 days with more in the forecast. Visit http://www.skibanff.com for the latest conditions and to view our live high resolution web cams. 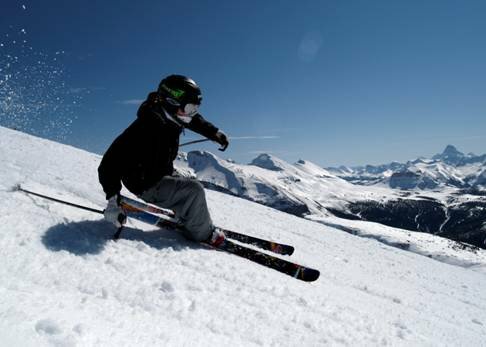 With Angel Express now operating, Sunshine Village has a total of 7 lifts running and 2 magic carpets. For those looking to take advantage of the great early season conditions, Sunshine Village is currently offering reduced lift ticket rates. Sunshine Village is proud to support the &ldquo;21st Annual Lions Festival of Lights,&rdquo; running from December 1st to January 8th, 2008. The Festival of Lights is Western Canada&rsquo;s largest FREE drive-by Christmas light show utilizing 80,000 bulbs and over 800 volunteer hours to create. &ldquo;Sunshine relies heavily on the Calgary market,&rdquo; said John Scurfield, Vice President Marketing, &ldquo;and we felt this would be an appropriate way of thanking Calgarians for their support.&rdquo; A long time sponsor of the event, the combined total support from Sunshine for this project is now in excess of $282,000. With over 30 feet of natural snow and 12 lifts, including the most quads in the Canadian Rockies, Sunshine each year attracts more than 500,000 skiers and boarders during Canada's longest season stretching from November to the end of May. photo: Brad Lorriman. skier: Wes Harris.